The natural amphitheater of Bryce Canyon National Park in Utah… – Sig Nordal, Jr. 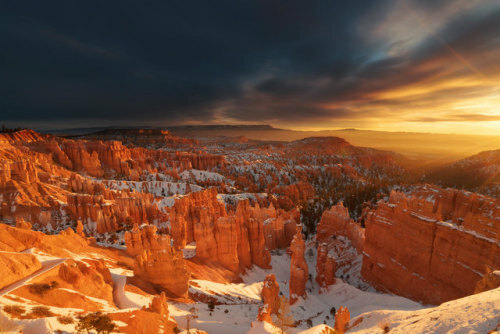 The natural amphitheater of Bryce Canyon National Park in Utah provides the perfect venue for enjoying fascinating landscapes and stunning skies. In winter, snow decorates the bright cliffs and hoodoos. Make sure to take a walk along the Rim Trail for all the best views. Photo by Jim Su (http://ift.tt/18oFfjl).